Eric Jensen’s Brain-Based Presentation Topics | Practical strategies linking brain research to student achievement. "This workshop was really useful. We learned lots of tools and tricks for engaging students and teaching them to focus on what I want them to learn." "You will not regret it! What a great use of time, so many valuable ideas. This will shift your state of mind and your teaching." Eric Jensen’s brain-based topics focus on practical strategies linking brain research to student achievement. At conferences, Eric Jensen typically does keynotes and breakout sessions. In addition, Eric is available to offer much longer, more in-depth programs at your school or district. (Click here for more detail on bringing Eric to your school) Each day gives your participants a stronger scientific foundation plus additional practical strategies, with time to practice on-site. Eric’s focus is on practical strategies linking brain research directly to student achievement. The programs listed below are dynamic, upbeat, and energizing. Length of sessions available are: 1) a keynote, 2) half-day, or 3) in-depth programs lasting up to three days (or schedule return trips to your location). Each additional day of a multi-day program gives your participants a stronger research base, additional confidence and with time to practice on-site. Here is a description for each program as well as the options for course length below. 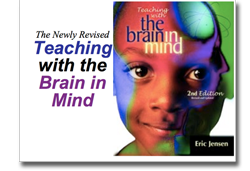 Participants get a fabulous update of Eric Jensen’s recently revised book Teaching with the Brain in Mind. This course provides specific, practical brain-compatible strategies for all educators. Shows how teaching changes the brain. Inspires teachers to use smarter strategies. All teachers influence their students. Now you can discover what it takes for students to acquire complex learning and achieve their best. Role models what works in the classroom. You’ll want to learn these essential rules for how our brain works. Gives teachers a dozen, practical, smart classroom strategies for the very next workday. IDEAL FOR: both elementary and secondary staff. Participants get a fabulous update of Eric Jensen’s popular book Tools for Engagement. Get students engaged. Students learn better when they are actively engaged. Brain chemistry changes and attention is raised. But how do you do this quickly, creatively and effectively? You’ll learn the magic of state changes, the secrets to “not” lecturing and the 15 easiest ways to be more active with your audiences. This session is highly practical, very energizing and gives you heaps of specific classroom-tested ideas. IDEAL FOR: both elementary and secondary staff. 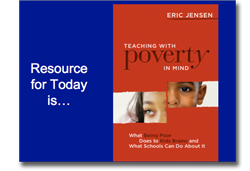 Participants get a fabulous overview of Eric Jensen’s new book Teaching with the Poverty in Mind. Are students of poverty really different? The research says, “Yes!” But, HOW are they different and what can you do about it? This powerful workshop explores both the science and the specific classroom strategies to reach students of poverty. You will hear school success stories, learn the inside secrets and get specific school-tested ideas. You can turn your students into top achievers IF you know how and have the WILL to do it. You can succeed with all of them, and you’ll learn exactly how to do it. Action plans will be designed with practical strategies. IDEAL FOR: both elementary and secondary staff. Participants get a fabulous update of Eric Jensen’s recent book Enriching the Brain. We all know that the brain can change. But what can be done to target specific changes to accelerate student improvement? 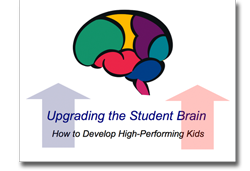 Learn what the academic and social changes will enrich the brain in positive and lasting ways. 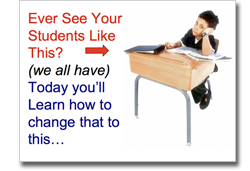 Discover how to design your school or classes so that every student moves forward, every day, in every class. How much do arts matter and which arts matter the most? Find out what instructional strategies will turn struggling students into B and A academic stars! How can we possible learn about brain-based education in on a short time? This forward-thinking session explores the cutting edge principles that do have “real world implication” for all educators. Learn the latest from the cutting edge of brain research. Much of what we were taught is no longer true. Discover why the brain is the next significant area for educators. Find out what’s new in the future for educators. Learn specific strategies you can use to improve student achievement immediately. IDEAL FOR: administrators, trainers and decision-makers. Participants get a fabulous update of Eric Jensen’s recent book Enriching the Brain. What should you know about how the young brain develops? New understandings of how our brain works shed light on the explosive time period of early childhood. This area has many possibilities and vulnerabilities. Learn what they are and how you can maximize positive student development. This is the session that will help you get children on the right track for a lifetime. Get insights PLUS practical strategies. 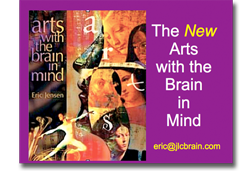 Participants get a fabulous update of Eric Jensen’s classic book Arts with the Brain in Mind. Many studies suggest that arts can have a significant and lasting positive effect on student learning. Learn how music, dramatic arts, visual arts, vocational arts, martial arts and every other art form affect the brain. Discover how arts can enhance cognition, social skills and a host of other powerful brain changes. What exactly does the research tell us and how much arts are needed to change the brain? Learn from a pioneer in the field and get insights PLUS practical strategies. Do you struggle to figure out middle school or high school students? It’s no secret that teens can be a real enigma. But what’s going on in their brains? New brain research tells us how the brain changes and what you can do to be ahead of the game. 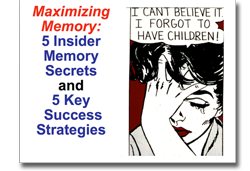 Discover how the brain reacts, what is different in today’s teenager and what to do about it. Expect to learn how to discipline better, motivate better and improve student achievement. This program will involve and include every staff member. Participants get a fabulous overview of Eric Jensen’s recent book, Different Brains, Different Learners. Every brain is unique, but those with academic or social differences struggle even more than others. Our fragile brain is highly susceptible to trauma, environmental, and prenatal toxins. Includes oppositional behavior, fetal alcohol syndrome and reading problems. Both behavioral and academic disorders contribute towards student difficulties. Learn what they are and how specifically to deal with them. You can improve both behavior and student achievement together. For this program, choose among various academic disabilities or behavioral disorders or a combination of both for your program. Perfect for administrators and decision-makers. What’s all the excitement about? It’s simple. In the last ten years, we have learned more about the brain than we have in the previous 50 years. But what applies to education? This forward-thinking session explores the cutting edge discoveries that do have “real world implication” for all educators. Learn the latest from the cutting edge of brain research. 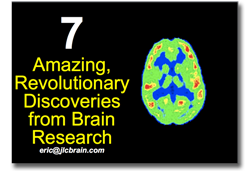 Discover why the brain is the next significant area for educators. Find out what’s new in the future for educators. Learn specific strategies you can use to improve student achievement immediately. Participants get a fabulous update of Eric Jensen’s book, The Great Memory Book. Staff can reduce teaching and enjoy their job more! This provides countless specific, practical brain-compatible strategies for all staff. Discover how good teaching means using smarter teaching strategies. All teachers can help students recall more of what they learn. Now you can discover what it takes for students to acquire complex learning and achieve their best. Eric will role models what works in the classroom. You’ll want to learn critical brain rules for how our brain stores learning. Gives teachers a dozen, practical, smart classroom strategies for the very next workday. Get meaningful, memorable results that fit specifically for your group. We look forward to hearing from you. Click here for more detail on bringing Eric to your school.